Now that the weather is officially in sun-blazing summer-mode, I am spending more and more time outside. Beach days, hikes, and long walks with the pups are topping my list so far. Since I am on a new coast this year, it has been an exciting season of firsts. And while I am trying my hand at some new dishes in the kitchen for the two-legged members of the family, I never want to leave Maggie and Bogart out. 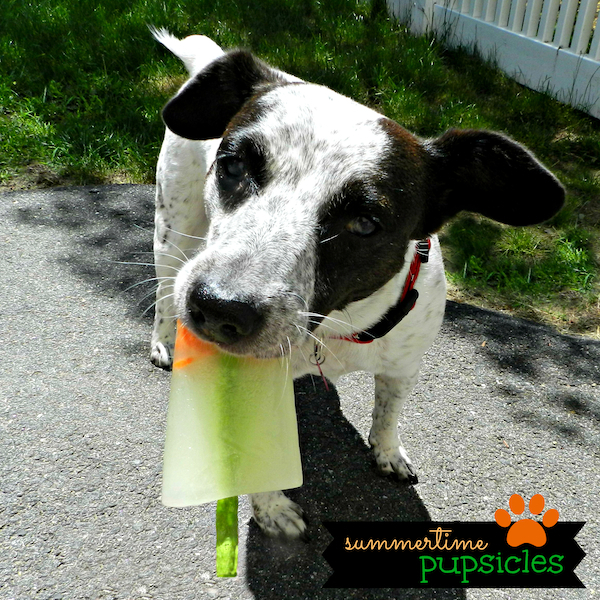 This past weekend I decided to finally use the popsicle molds that have been sitting in a drawer to freeze a cold treat for those dog days of summer. 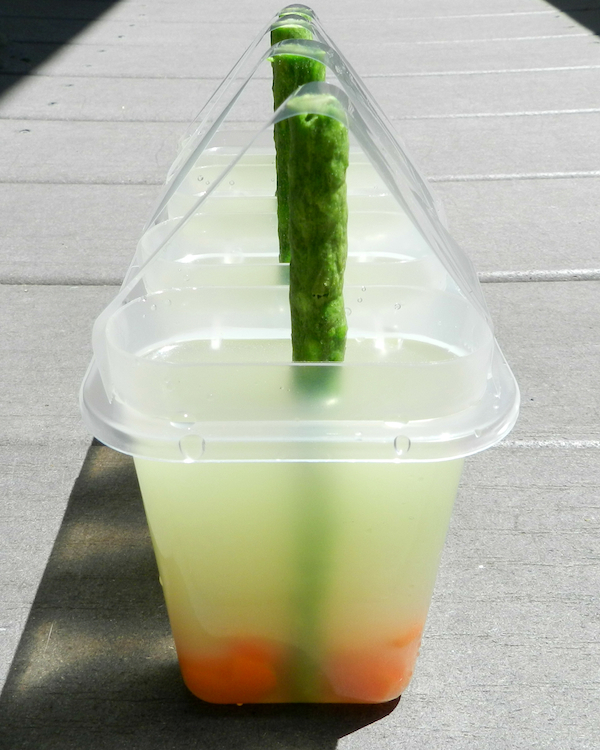 Start by pouring the chicken broth into each of the popsicle molds. Chop the carrots into thin slices. 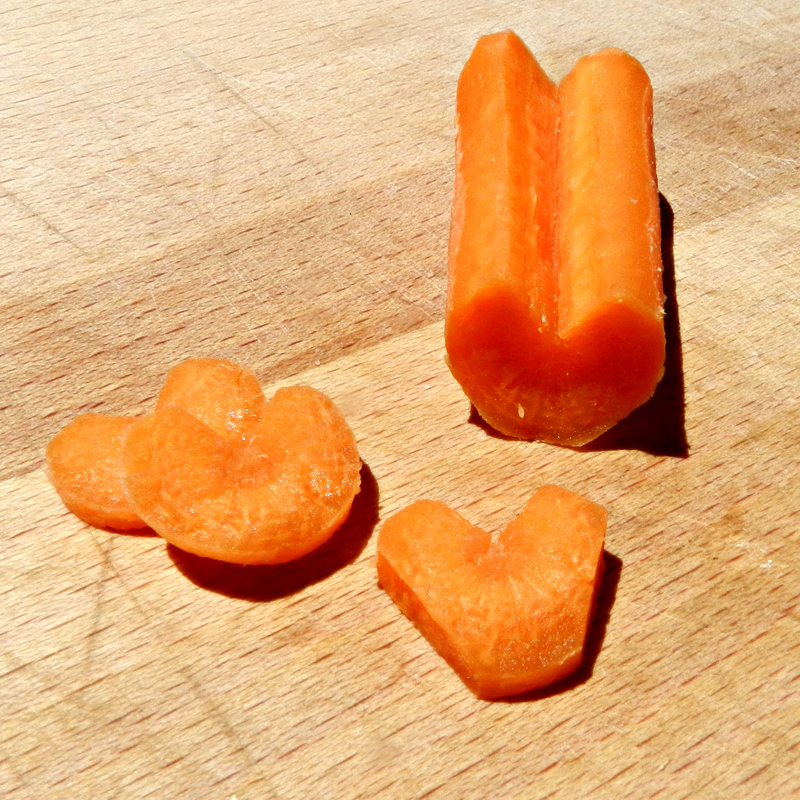 I made two small angular cuts at the top of the carrots to form the heart shape on my carrot coins. Place the carrots into the broth (they will sink to the bottom). Next, place the rawhide chew in the middle of each mold to act as the popsicle stick. I knew they would not stay in place with out a little help, so I used 4 strips of clear tape to anchor them. Place the molds into the freezer until hardened. Once frozen, remove the tape from the molds and gently pop the pupsicles out. Tempting as it is, avoid prying them out by the stick, so it does not break. If they are being stubborn, run a little warm water over the mold until they loosen. This was a tough one to snap photos of, since my dogs wanted to carry them off to the grass to eat. 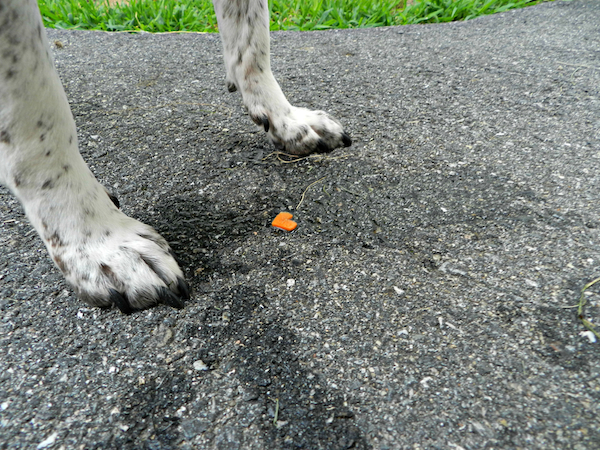 But I loved this shot of Maggie’s paws and one of the heart carrots that had fallen (it was gobbled up seconds later). They made them look so good, it might be time for me experiment a little with some fruity popsicles for myself! Stay cool everyone!